Mostly clear skies Friday night will allow temperatures to fall into the mid-30s by daybreak Saturday. Some patchy frost will be possible. The weekend looks good for now with sunny skies Saturday and highs in the middle 60s. Things will feel a bit more humid. 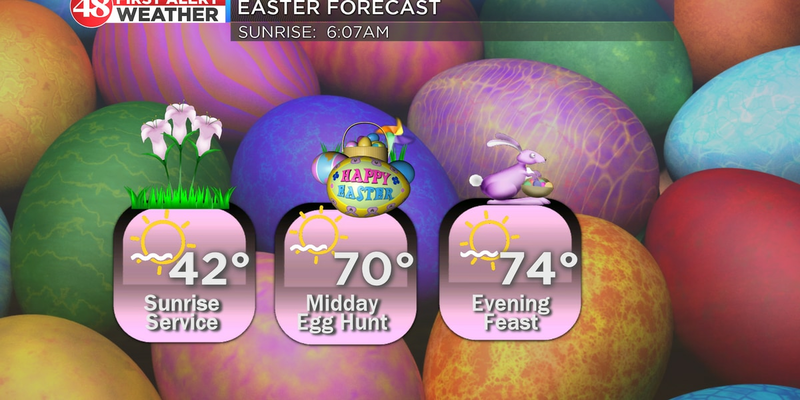 Sunday brings with it a few more clouds and a chance of afternoon and evening showers with highs near 70. Monday is our best chance for soaking rain and a few thunderstorms. Highs will be in the upper 60s. 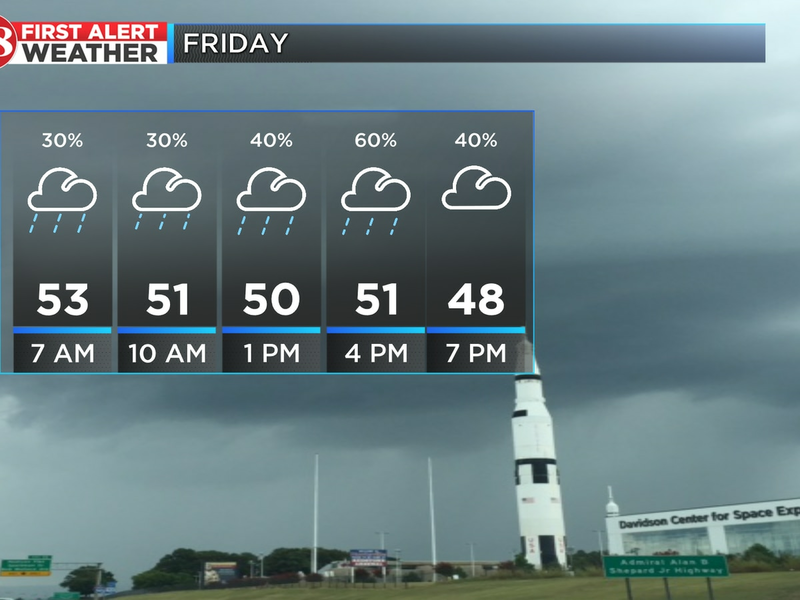 Rain and storms can move in as early as Monday morning and stay with us through the early afternoon. Following Monday’s rain and storms temperatures will drop a bit back below average into the middle 50s for Tuesday. The rest of next week looks quiet for now with highs back in the low to mid 60s.